Laptop Charger Not Working Issue Fix in Hyderabad and Secunderabad. MacBook Charger plugged in but not charging, Laptop AC Adapter not charging problem repair at best price. Laptop Charging problem with the laptop battery is a common issue for all laptop users need to fix the errors by log on to our website or call our customer support team to get the right solution for you. We stock 100% Original Apple MacBook Charger, Dell, HP, Lenovo, Asus, Acer, Toshiba, Microsoft, Sony Vaio Laptop Chargers at our Hyderabad Office. 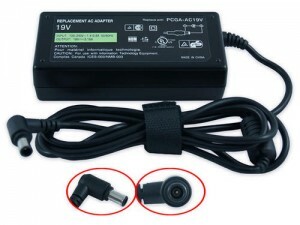 We provide high quality laptop charger Not Working service by our expert engineers at best price in the market. We give guarantee for quality service in quick time at an affordable price comparison with any other service providers in the industry. Our experts diagnose your system free before take any action to fix the errors of your system. We provide free delivery of your laptop after repairing before the deadline. We give warranty on all brands of laptop notebook. So never be late to click or call to get the right required solution for your system errors. As per our company norms we provide warranty on spares to get the free repairing of your laptop within the period of warranty , for detail just log on to our website or call our customer support team for any assistance or queries. Keeping in mind of your busy schedule we provide quick service by our expert engineers, our technical experts doing quick reserch round the clock to find the best solution for your laptop issues. We provide free pickup and delivery of your system after diagnosis and repairing of your laptop, we give this support and service to our customers to make them smile and feel comfortable. We never ever stops thinking to find the right required solution for our customers we do 24X7 reserch to keep your efforts tightly fixed in place , So we stands alone to give the best quality service to our customers because customers satisfaction is our first priority.